This looks likely to be another close contest, which is certainly the opinion of sportsbook Sports Interaction. Marseille will start as favourites in the head to head market, although they are by no means a clear leader. They start at +127, while their German opponents enter the match at +195. The draw is also quite low at +256, and this wouldn't be a bad pick considering Leipzig only need a stalemate to progress. We feel that this situation will be perfect for Leipzig, who will continue their historic first European run by entering the semi-finals. They also present excellent value. 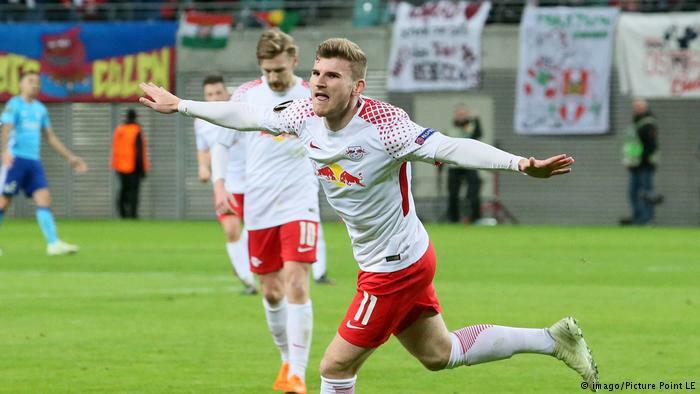 Leipzig recorded the narrowest of victories against Marseille in the first leg of this tie, thanks to a Timo Werner strike just before the half-time whistle. Save for this lapse in concentration by the French side, who also lacked composure in front of goal, we could have seen a different result. In a match boasting considerable attacking talent, it was the defences of each team that really stood up here. We now travel to Marseille for the conclusion of this tie, which is definitely in the balance. The lack of an away goal will certainly make it tricky for the French club, especially considering how well Leipzig are on the counter. Although they are yet to lose a home match in European competition so far this season, and they will be confident of getting the result required to advance to the final four. Neither side is at full strength, although Marseille is definitely worse off with injuries. Manager Rudi Garcia will be missing goalkeeper Steve Mandanda, centre backs Adil Rami and Rolando and winger Florian Thauvin, and will look to striker Valerie Germain to carry the workload in a game where the home side will likely need more than two goals to be sure of qualifying for the next round. Meanwhile Leipzig will be without Stefan Ilsanker and Marcel Halstenburg in the defensive half of the pitch, while Ademola Lookman will of course miss the match due to his ineligibility. Timo Werner and Naby Keita will both be in attendance, as will Emil Forsberg who assisted the goal in the first leg. On paper, you would think that Leipzig are good enough for a goal here, which would make them very difficult to overcome. At +101, Arsene Wenger's men offer incredibly good value, although we must be wary of other instances in Europe this season where the stronger team on paper played below par in a game where damage control is the only requirement. It is not surprising to see the draw so short - it is paying +275 and must be considered due to Arsenal's lack of a need to win. CSKA Moscow are the outsiders, priced at +237. Arsenal's away form in the Premier League hasn't been great, and we're not sure they can win this match, although we are certain they will progress. We're thinking the draw is the go here. 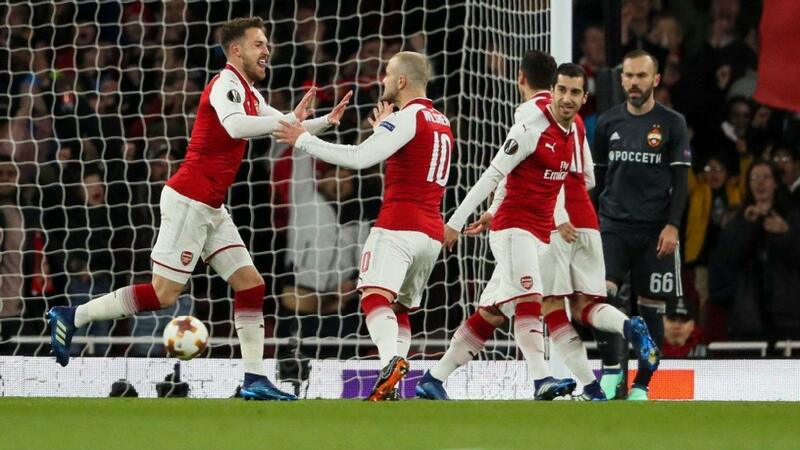 Arsenal have one foot in the semi-finals after recording a comfortable victory at the Emirates last week. They will travel to Russia knowing that they are next to no chance of making it to the Champions League via their league position, and that it is essential that they get the job done and reach the final four - they have the opportunity to follow in the footsteps of Manchester United and qualify via this competition. However European football can be unpredictable, especially at this stage of the competition. Barcelona fans will know exactly how it feels to enter an away leg with a 4-1 lead and inexplicitly miss the next round of a tournament, and Arsenal will need to be careful that they don't fall into a similar trap of complacency. The London club have never won a match in Russia. We can't see Arsenal getting knocked out though. CSKA Moscow have only won three of their twenty matches against English sides (5 draws, 12 losses), and were thoroughly outclassed in the first leg. To concede four goals in a half of football is never nice, and while they were better in the second half their efforts were futile. We expect to see plenty more of the same in the second leg, even with the home crowd behind them. Although Henrikh Mkhitaryan and Pierre-Emerick Aubameyang will miss the match, Arsene Wenger will be confident of the men he does have at his disposal, particularly Alexandre Lacazette and Aaron Ramsey, who were excellent in the home leg in scoring twice each. Mesut Ozil made two assists and was involved in everything the side did going forward, and he will once again be crucial for the Gunners. Arsenal simply have too much talent to fail in this match. While they do not necessarily need to win this match, we think CSKA's necessary pursuit of goals will give the English club plenty of opportunities to carve up the opposition on the counter. It is no surprise therefore to see Arsenal as the favourites even though they are away from home. Unsurprisingly, Atletico are the clear favourites in this match, and offer the lowest odds of any of the four favourites in the Europa League quarter-finals. They will start at -111, which is still great value, and most likely set as such because they don't necessarily need to win the match to progress. The draw is priced at +227, while the home side are outsiders, offering +339. We are confident that Madrid will win this, and make it an even six from six in the tournament. Atletico Madrid made it five wins from five Europa League starts in the first leg of this match, and we can't see anything other than another win for the Spanish team, who remain the favourites to win this competition. Sporting simply couldn't compete with the La Liga club, and the club is also going through a rough patch with their owner suspending players for not playing hard enough and refusing to train. It's not the best period in the club's history that's for sure. Remarkably, the Portuguese side had the greater possession in the first leg, although in truth the early goal to Koke changed the dynamic of the tie and Antoine Griezmann's strike before half-time allowed the Spaniards to sit back in the second-half. Fredy Montero really should have scored late in the match to give the Lisbon club a fighting chance in the tie, although failed to take advantage. It will be Montero flying the flag for Sporting in this match as strike partner Bas Dost is suspended due to yellow card accumulation. He will join William Carvalho, Fabio Coentrao and a number of others who are out through injury, which does not present an ideal situation for Jorge Jesus. For Atletico, the main man is Griezmann, who capitalised on a Sporting mistake to record yet another goal for Atletico. He also scored in the match against Real Madrid on the weekend, so his confidence will be right up prior to this match. Sporting have performed extremely well at home this season, losing just once (to Barcelona) in 26 matches in the capital. They will need goals in this match, and as they are currently third in the domestic league their prospects of playing in next year's Champions League may be grim unless they can fight their way back into this tie. All four Europa League matches are tough to pick, although this one is arguably the toughest. Lazio are the favourites to progress, while Red Bull are the head to head favourites in this match. We agree that the home side are likely to win here, and there are fantastic odds available. Salzburg start at +124, while Lazio enter at +194 and the draw is available for +267. We are not sure whether Salzburg will do enough to progress, and realistically they can be proud of their efforts in Europe this season, although we think they can win this match. There were goals aplenty in the first leg of this match, and at one stage it looked as though our prediction of a draw was to be proved correct as Red Bull's Takumi Minamino equalised in the 71st minute. This second goal seemed to spur Lazio into action though, as Felipe Anderson and Ciro Immobile scored in quick succession to hand the advantage to the Italians leading into this match. For Red Bull Salzburg, it was a rare loss in European competition - they had not lost any of their previous 19 continental matches (11 wins, 8 draws), and have been in form in this tournament so far, eliminating Real Sociedad and Borussia Dortmund to make it this far. Domestically they have been on fire too, streaking ahead in the Austrian Bundesliga with just one loss in 28 matches. Lazio are certainly firing at the front - the Italians have scored the most goals in Serie A, mostly thanks to Ciro Immobile who has scored at a rate of one goal every 90 minutes. The striker has also managed 7 from 8 matches in the Europa League so far, and will be one to watch if you're looking at the player markets in this match. Salzburg enter this match with a squad of healthy players, and that means we should see goals from both teams once more considering the amount of goals in the Lazio side. The Italians are also mostly injury free, so the teams may lineup almost exactly as they did in the first leg. While the team from Rome may look to enter this match defensively, it is certainly a dangerous tactic.